The Westminster Collection has reached an incredible fundraising milestone having raised £500,000 for The Royal British Legion. The Westminster Collection has raised the staggering amount since 2008 through the sale of commemorative remembrance-themed coins, honouring the lives of those who made the ultimate sacrifice in service to their country. And the partnership between The Westminster Collection and the Legion is to continue with the announcement of a new three-year partnership. Stephen added: “Though we have been working in partnership with The Royal British Legion since 2004, the first Poppy Coin came about in 2008 as a way to commemorate the 90th anniversary of the end of the First World War. Claire Rowcliffe, Head of Regional Fundraising at The Royal British Legion, said: “We are extremely proud of our long-term partnership with The Westminster Collection. “The Westminster Collection is a family business which shares our commitment to supporting the entire Service community; whether it’s helping veterans to remain independent in their homes, offering dementia support and employment or compensation advice, or ensuring people have access to the benefits they deserve. 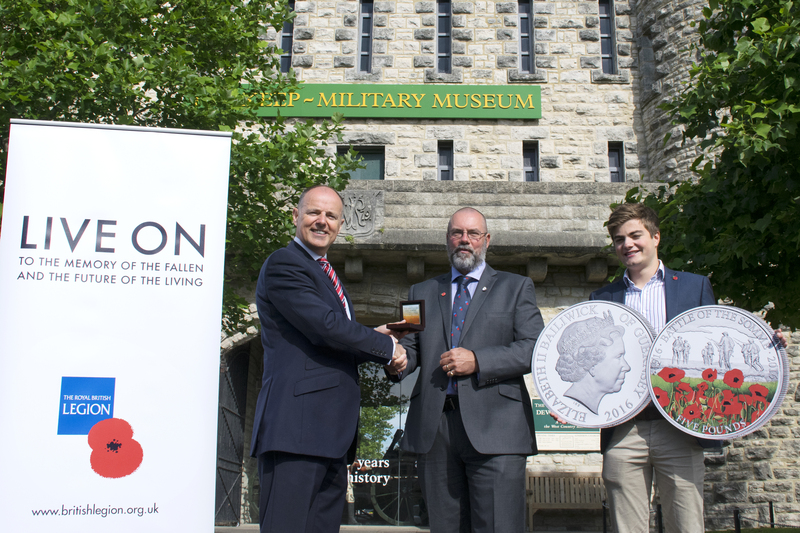 Discover more about how the donations from the Somme Coin helps The Royal British Legion support the Armed Services community. The Battle of the Somme coin has been issued to pay tribute to the 100th Anniversary of the Somme. Designed with the Somme battlefields in mind, the reverse features a masterfully printed and haunting poppy field with an engraved scene depicting soldiers going ‘over the top’ into battle. Click here to secure your coin for just £25 (+p&p) – with a donation going directly to the Legion’s work.